experience in government and politics. The BA and BS degrees in Political Science offer small class sizes, close contact with professors respected in their field, and involvement with the local community. Students may pursue either a Bachelor of Arts (BA) or a Bachelor of Science (BS) in Political Science. The department offers courses in five areas, which students can mix to meet their needs: American government and politics, international relations and foreign policy, comparative politics, public administration, and political theory and methodology. The Legal Studies minor is useful for positions in the public and private sectors requiring knowledge of the law or interaction with legal professions. In addition, it is well suited for students who wish to attend law school. 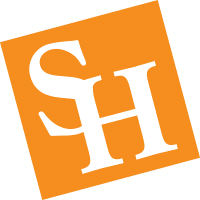 In fact, SHSU ranks in the top seven percent of national universities in law school acceptance. Political Science students at SHSU are among the most active in the state. Students may participate in the department's Political Science Junior Fellows, Pi Sigma Alpha, or the campus political party organizations to get unique and hands-on experiences. SHSU Political Science students have interned with city and county governments, the Texas legislature, the U.S. Congress, non-profit organizations, international think tanks, major political campaigns, and law offices. Our flexible program allows for local internships, but has also placed students in other states and Washington, DC. View the Political Science Degree brochure (.pdf).